Hyperledger Fabric is a platform for distributed ledger solutions underpinned by a modular architecture delivering high degrees of confidentiality, resiliency, flexibility, and scalability. It is designed to support pluggable implementations of different components and accommodate the complexity and intricacies that exist across the economic ecosystem. Once comfortable — or if you’re already familiar with blockchain and Hyperledger Fabric — go to Getting Started and from there explore the demos, technical specifications, APIs, etc. In addition to being decentralized and collaborative, the information recorded to a blockchain is append-only, using cryptographic techniques that guarantee that once a transaction has been added to the ledger it cannot be modified. This property of “immutability” makes it simple to determine the provenance of information because participants can be sure information has not been changed after the fact. It’s why blockchains are sometimes described as systems of proof. To support the consistent update of information — and to enable a whole host of ledger functions (transacting, querying, etc) — a blockchain network uses smart contracts to provide controlled access to the ledger. A smart contract can, for example, be written to stipulate the cost of shipping an item where the shipping charge changes depending on how quickly the item arrives. With the terms agreed to by both parties and written to the ledger, the appropriate funds change hands automatically when the item is received. 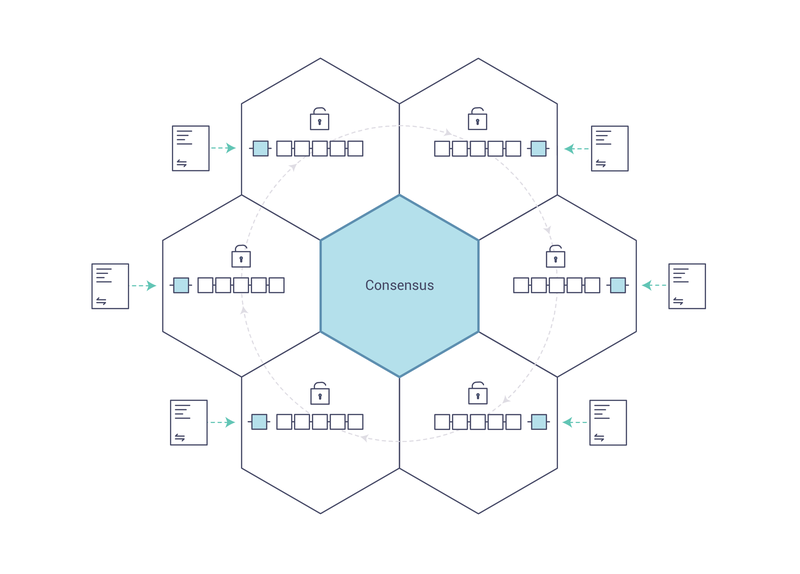 The process of keeping the ledger transactions synchronized across the network — to ensure that ledgers update only when transactions are approved by the appropriate participants, and that when ledgers do update, they update with the same transactions in the same order — is called consensus. You’ll learn a lot more about ledgers, smart contracts and consensus later. For now, it’s enough to think of a blockchain as a shared, replicated transaction system which is updated via smart contracts and kept consistently synchronized through a collaborative process called consensus. The transactional networks of today are little more than slightly updated versions of networks that have existed since business records have been kept. The members of a business network transact with each other, but they maintain separate records of their transactions. And the things they’re transacting — whether it’s Flemish tapestries in the 16th century or the securities of today — must have their provenance established each time they’re sold to ensure that the business selling an item possesses a chain of title verifying their ownership of it. The Linux Foundation founded the Hyperledger project in 2015 to advance cross-industry blockchain technologies. Rather than declaring a single blockchain standard, it encourages a collaborative approach to developing blockchain technologies via a community process, with intellectual property rights that encourage open development and the adoption of key standards over time. 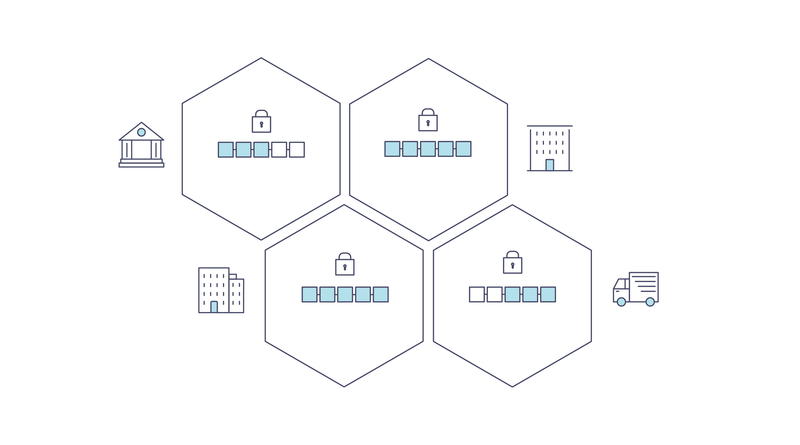 Where Hyperledger Fabric breaks from some other blockchain systems is that it is private and permissioned. 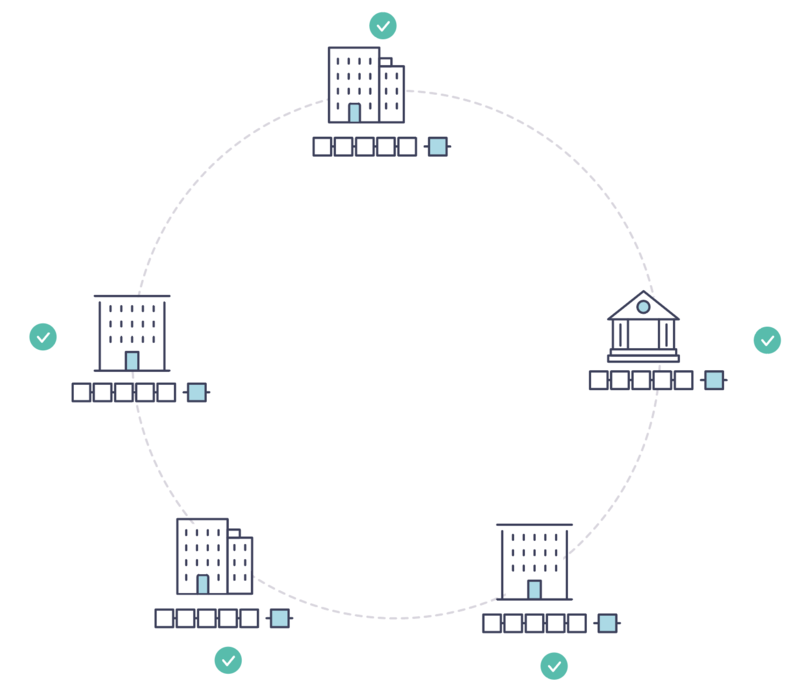 Rather than an open permissionless system that allows unknown identities to participate in the network (requiring protocols like “proof of work” to validate transactions and secure the network), the members of a Hyperledger Fabric network enroll through a trusted Membership Service Provider (MSP). Hyperledger Fabric also offers the ability to create channels, allowing a group of participants to create a separate ledger of transactions. This is an especially important option for networks where some participants might be competitors and not want every transaction they make — a special price they’re offering to some participants and not others, for example — known to every participant. If two participants form a channel, then those participants — and no others — have copies of the ledger for that channel. Chaincode can be implemented in several programming languages. Currently, Go and Node are supported. We’ll learn more about the Hyperledger Fabric consensus mechanisms, which currently include SOLO and Kafka. A conceptual doc that will take you through the critical role identities play in a Fabric network (using an established PKI structure and x.509 certificates). Talks through the role of a Membership Service Provider (MSP), which converts identities into roles in a Fabric network. Peers — owned by organizations — host the ledger and smart contracts and make up the physical structure of a Fabric network. Learn how to download Fabric binaries and bootstrap your own sample network with a sample script. Then tear down the network and learn how it was constructed one step at a time. 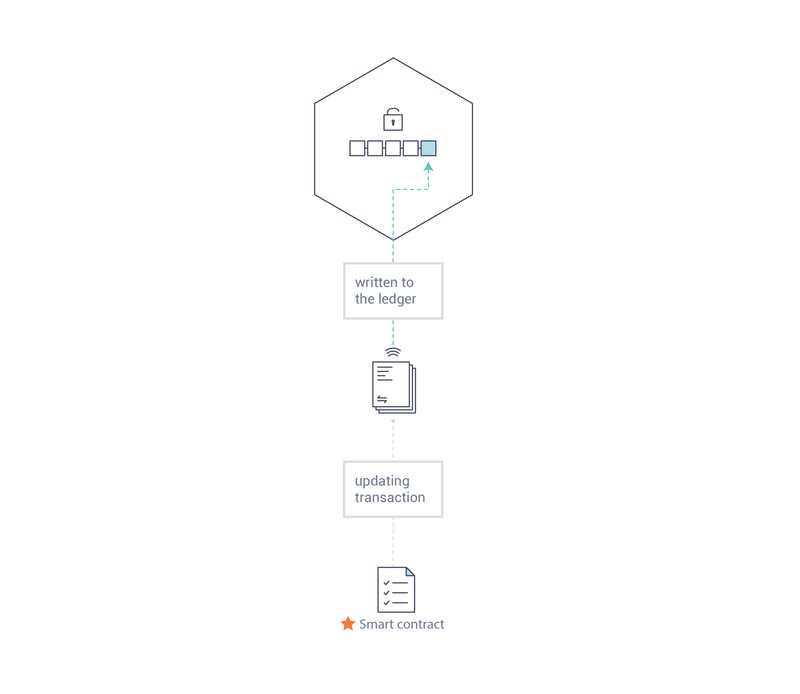 Deploys a very simple network — even simpler than Build Your First Network — to use with a simple smart contract and application. 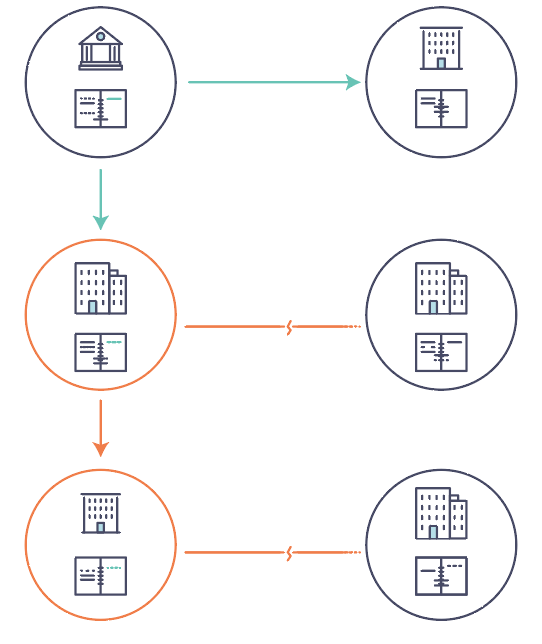 A high level look at a sample transaction flow. A high level look at some of components and concepts brought up in this introduction as well as a few others and describes how they work together in a sample transaction flow.